Chemical Resistant Neoprene coating provides excellent abrasion performance. Flame resistant. 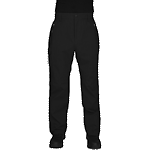 Webdri Rainwear is a truly comfortable, high performance suit. Made with a heavy coating and a high loft lining, it can withstand extensive laundering and duty. Special PVC coating resists fats and oils.